Growth marketing is one of the common strategies used by startups looking to promote their goods and services. Growth marketing is one of the common strategies used by startups looking to promote their goods and services. One of the most common product marketing platforms is Product Hunt (PH). 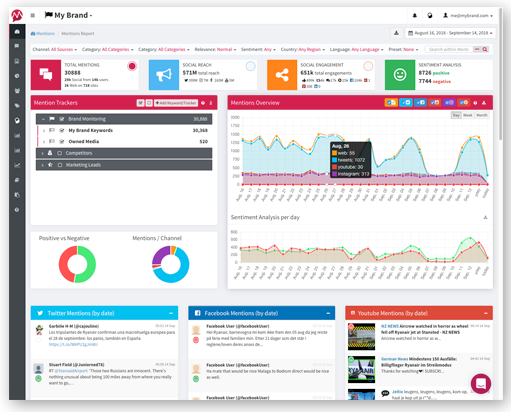 A product featured on the front page of the platform can get you over 10,000 visitors each week. Therefore, Product Hunt marketing is a good strategy for startups looking for the best market penetration strategy. In this article, we will dive deeper into exactly what Product Hunt is and how a business can get started with Product Hunt Marketing. According to Ben Gelsey, all major product launches are now posted on Product Hunt. The success of Product Hunt marketing can be demonstrated by the rapid spread it received in the Silicon Valley. The great success that this platform received saw many other developers become Product Hunt copycats. Ideally, these people were inspired to start building a community of their own. So what exactly is Product Hunt? Product Hunt is a platform that enables its users to vote (and declare their opinion) for their favorite products. It is a community where developers, entrepreneurs, and journalists spend time discovering new products. As a product gets votes, a daily ranking is done. Therefore, by starting your Product Hunt Marketing, you will work towards getting more votes for your products so as to receive a higher ranking. Product Hunt platform gets a massive traffic, and the community is large. For many startups, it is a great platform towards improving brand awareness, finding new prospects, and getting an honest product review. So what is the real deal that startups can get by launching on Product Hunt? The products launched on the platform strike for the front page of the Product Hunt. This is because just like appearing on the first page of Google results, the products on PH first page get more exposure. However, for you to benefit from the above, you have to become a master of Product Hunt. How do you get started? Before you get excited with it, first you need to understand how exactly it works. Once you have understood the platform, you can then decide whether it is a good platform for your product or not. This is the only shortcut through which you can start reaping the benefits of PH Marketing. 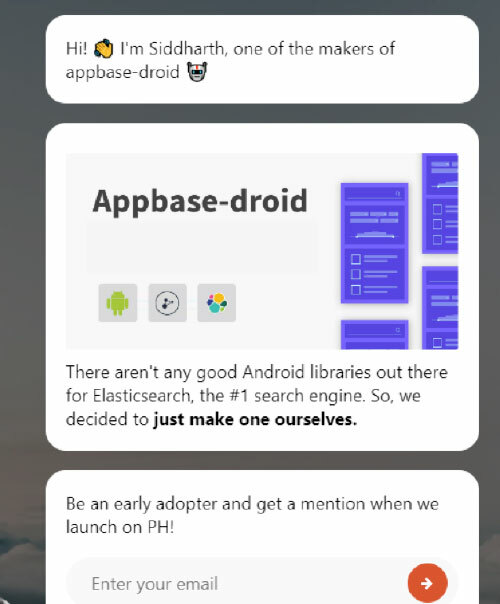 Keep reading to find out the secrets you need to successfully launch on Product Hunt. As part of preparing for the Product Hunt launch, take time to review whether your product is suitable to be launched on it. This might come as a surprise to many, but not all products benefit when launched on PH. Therefore, take time to get a review on the products that attract more votes. Are these products similar to what you produce? This will help in developing that gut feeling you need when you know your products can get daily upvotes. According to Unamo.com, PH is not a suitable platform for posting Services, Events, Articles, and other things that aren’t products. The most suitable items are newly released technical tools, new software, new books and other physical products. Apart from the above examples, it is important to consider brand new or relatively unknown products. It is also important that you identify the unique features of your product and choose to announce those features through Product Hunt. A product that has undergone a major rebranding can also be added on Product Hunt. Therefore, a thorough investigation will help you and should be done as part of preparations. A common path followed by many companies is looking at how other companies promote similar products and following in their path. However, remember that there is always a unique story for every brand that is successful. You might factor things like landing page design, product descriptions, and taglines. You might distribute these tasks to teammates to have a fast turnaround. Just like other digital marketing platforms, you need to come up with an attractive profile. There are two types of accounts that can be created. These include a personal account, and secondly a company account. A personal account is the account tied to an individual’s Twitter or Facebook profile while a company’s account is one that uses a company name or the brand name. Another important step when it comes to Product Hunt Marketing launch involves getting familiar with the community. PH Marketing works better if you follow community members who are interesting. Therefore, once you are done with the signup, you now need to start exploring the platform. Look for people who are interesting and potential influencers and follow them on Product Hunt. Also, you would like to follow topics and start leaving comments on posts by people you follow. However, be respectful to other people’s posts and avoid getting rude even when others aren’t kind to you. Build relationships prior to launching Product Hunt Marketing. To do this, you can follow community members even on their Twitter too. Ensure that you show love for people with similar interests as you and not just those having nice profile pictures. When you do this, there is a high likelihood that you will get them to follow you back. When your followers and people you follow post, you can comment on their posts to attract them to your profile. You can focus on beta testers or the early product adopters. Remember that when you give these people a valuable product, they will Upvote your products. This is the best give back you can get on Product Hunt marketing campaigns. Now that you already have an active account and a number of followers, you can begin planning for the Product Hunt Marketing. This is basically launching your products on the platform. However, there are a number of things you need to get ready before the actual launch. Here are the basics you need to get right. Many startups create unnecessary things which end up not getting demand at all. Even if they get demand, it is difficult to attract the attention of other consumers. Despite preparing well for the Product Hunt Marketing launch, you will not get the desired results as long as your product doesn’t meet the expectations. Check for possible bugs and rectify to ensure that you will attract demand from the market. Product Hunt community will be loyal only if you release valuable products. On the landing page, you can consider adding a welcoming message for the visitors coming from Product Hunt. For instance, when you have offers, you can welcome them with that discount message. Even when you don’t have offers for them, you can just add a welcoming message. Here is a good example of what a welcoming message might look like. You also need to build a waiting list through your Product Hunt profile. You need to notify your network about the plans that you have for the new product. This also applies if you are launching a rebranded product. Alternatively, you can use other applications like Beta List and Startup List publications to provide a waiting list. Also, share the announcement widely through Twitter and other social media accounts so as to attract more e-mail addresses on the waiting list. This helps you stay ahead of the curve. However, you need to have a well-crafted message when sending those invitations. Here is a good example of a message that can be used to build your waiting list. This personalized message has a higher potential for building your waiting list. 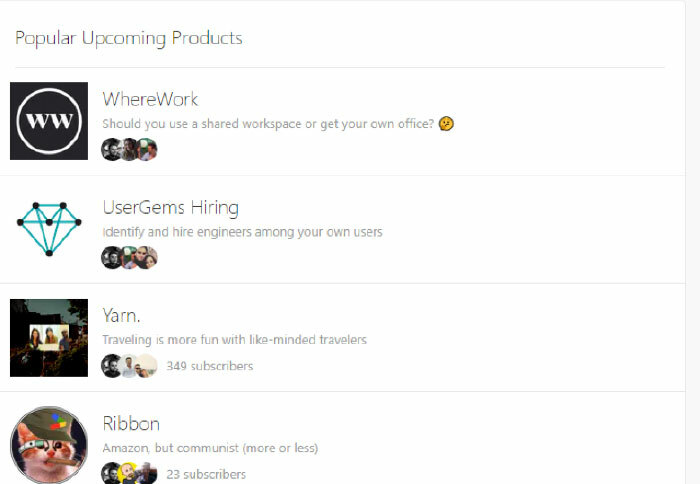 Ship is a Product Hunt feature that helps in building a waiting list. It acts like a trailer page for the products that are being launched. Ship, also referred to as upcoming pages, is a convenient way of sharing with the community and also your PH audience that something is coming up soon. Take advantage of as many opportunities as you might find. On Product Hunt, you should consider engaging a hunter who has a decent following of potential prospects. This is both on Twitter and in Product Hunt as well. Hunters have helped startups that are getting started with Product Hunt Marketing and therefore a good strategy for beginners. At first, it might seem difficult when you try identifying a good hunter to work with. This is the reason why we mentioned that you need to take some time first to familiarize yourself with the PH community. Part of familiarizing was identifying the hunters with similar interests and following them. As you engage with their posts, you are increasing the chances of getting upvotes from them when you launch on Product Hunt. Therefore, search for the best hunters to introduce your product and introduce yourself and the product to them. You can write a short e-mail with a few paragraphs about the product you are expecting to launch. Ensure that the e-mail is brief and to the point. Once the Launch kit is ready and submitted to the hunter, the next step will be for the hunter to use the content of your launch kit to submit the product to Product Hunt. With the product launched on PH, the hunter will then post a comment with a few paragraphs about why he or she hunted the product. With everything done right, Product Hunt is a good platform for marketers. This is especially the new startups who want to achieve a high market penetration. Therefore, if you are planning to get started with Product Hunt marketing, then follow the above basics to ensure you get it right from the first step.